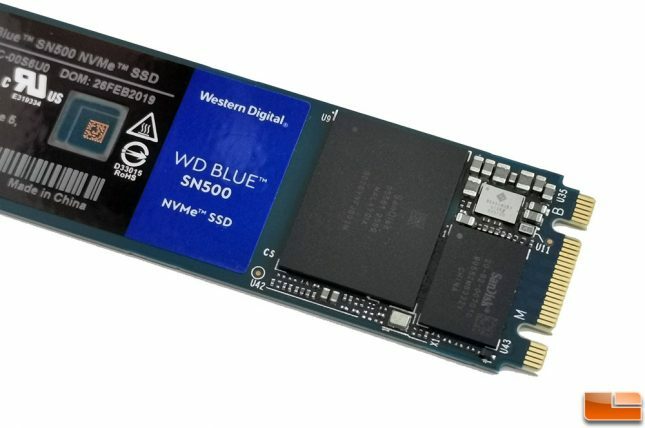 Last month Western Digital released the WD Blue SN500 NVMe SSD and it was a rather significant launch as this is the first time we have seen a PCIe NVMe drive in the mainstream WD Blue series. PCIe NVMe drives have long been coveted by the high-end users for their speed, but they have always carried a significant price premium over the ‘standard’ SATA drives. We’ve seen DRAM and NAND Flash pricing drop dramatically here in the beginning of 2019. You can thank increased production, high inventory levels, and the looming trade war between the U.S. and China. Many analysts and producers believe that we’ll see the price drop to end soon with supply and demand improvements in the second half of 2019. The time to buy an SSD has never been better when it comes to pricing! 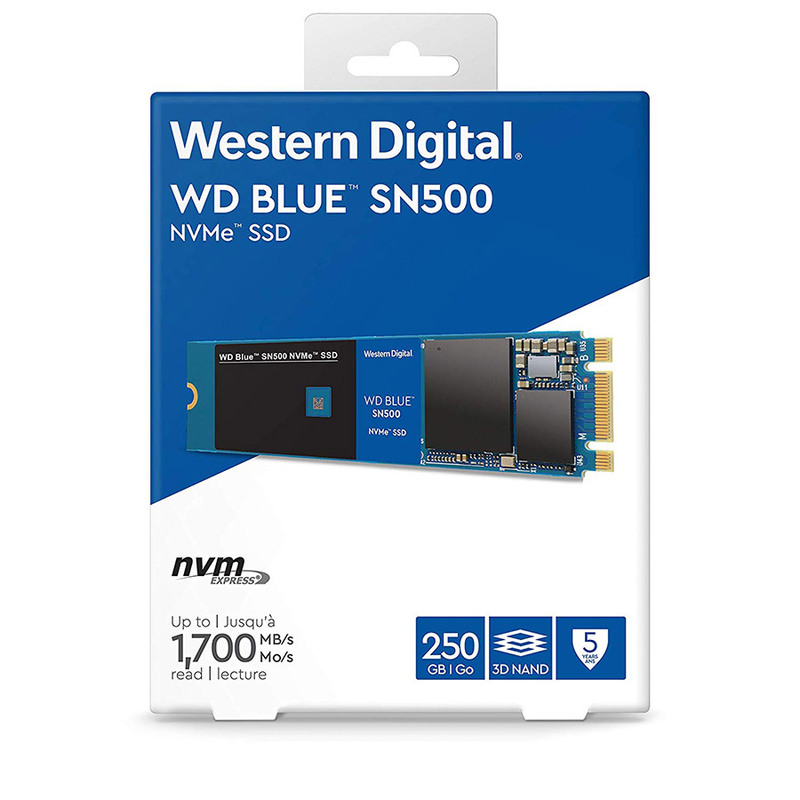 The WD Blue SN500 NVMe SSD series has just two capacities to pick from. You have the 250GB (model number: WDS250G1B0C) for $54.99 shipped and a 500GB (model number: WDS500G1B0C) for $77.99 shipped being offered. That puts the price per GB at $0.22 for the 250GB model and just under $0.16 for the 500GB model. Impressive price points for a brand new drive series and pricing has not dipped below the manufacturer’s suggested retail price yet either. So, what kind of performance do you get with these inexpensive M.2 PCIe NVMe drives? The larger 500GB WD Blue SN500 is said to have sequential read and write speeds that top out at up to 1,700 MB/s and 1,450 MB/s, respectively. The smaller 250GB model tops out at the same up to 1,700 MB/s sequential read speed, tops out at a lower 1,300 MB/s. Random 4K performance is rated at up to 275,000 IOPS read and up to 300,000 IOPS write on the 500GB drive and up to 210,000 IOPS read and 170,000 IOPS write on the 250GB drive. So, if you are worried about performance you’ll want to most certainly go with the 500GB drive. Not only is the price per GB lower, but you get better Random 4K performance and Sequential Write performance. WD is using an in-house SanDisk branded controller paired with a single SanDisk 64-layer 3D TLC NAND Flash memory chip. This NVMe SSD controller uses just two PCIe lanes and has no DRAM interface (meaning this drive is DRAM-less). While the SN500’s controller does not use the NVMe Host Memory Buffer, WD informed us that it does have an undisclosed ammount of memory on-board that serves a similar purpose. This is a single-sided M.2 2280 drive, so there are no components on the back. When it comes to endurance ratings the WD Blue SN500 250GB drive has a 150 TBW (terabytes written) ratings while the 500GB model has a 300 TBW rating. Both WD Blue SN500 NVMe SSDs are backed by a 5-year limited warranty. Let’s take a closer look at the test system and run some quick benchmarks on this drive!